Certain circuits require a bipolar power supply. In a portable unit like an effect pedal, that can sometimes be troublesome, since it is likely that we want to power our effects with a standard 9V or 12V wall-wart or batteries and really don’t like the idea of putting an AC mains transformer plus rectifiers and filtering into our boxes. 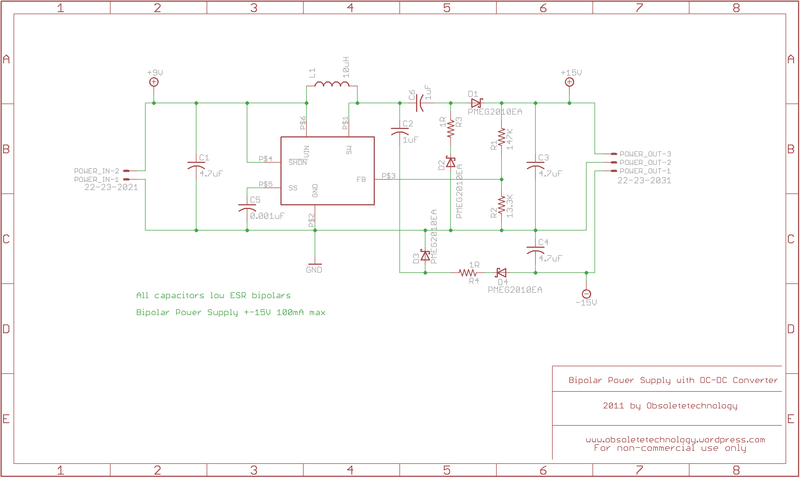 A good way getting around this problem is by using a step-up converter, also called DC-DC converter. A DC-DC converter converts a voltage level into another voltage level by temporaryly storing the energy in a capacitor or an inductor and then releasing the energy to the output thus multiplying the output voltage. 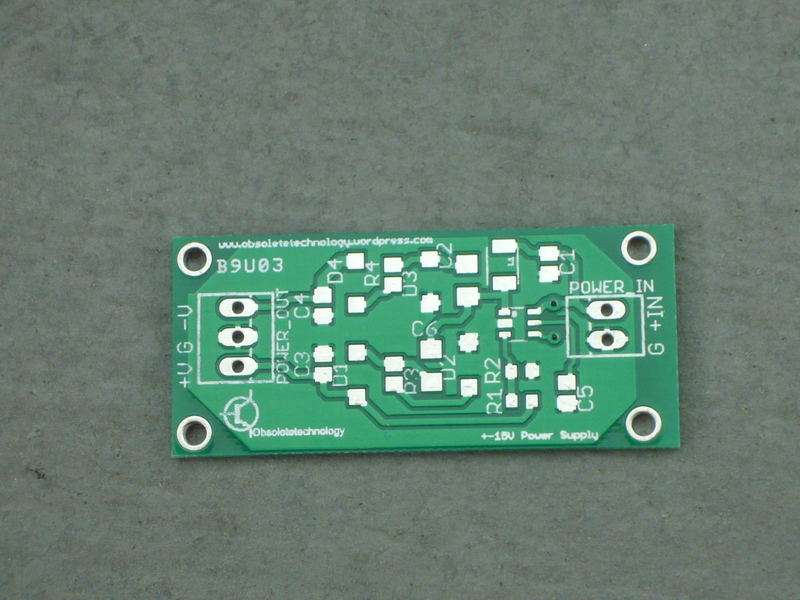 I have used the LT3467 converter in a 9V input to +-15V output configuration. The schematic is similar to the one in the LT 3467 datasheet, which you can refer to, would you require to caculate a different voltage output level. 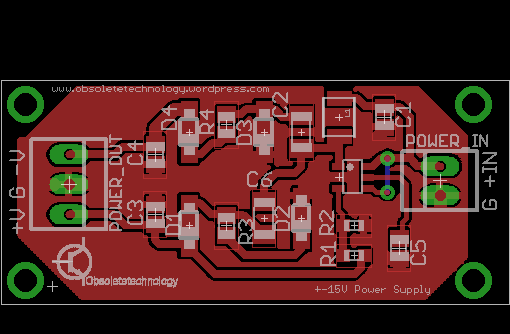 Which by the way, is set with only two resistors (R1 and R2). I have tested my circuit and it works well up to 80mA of output current, which totals to 160mA for both positive and negative outputs. The small footprint allows it to be integrated almost anywhere and it is for sure cheaper than a transformer with rectifiers and power regulator. 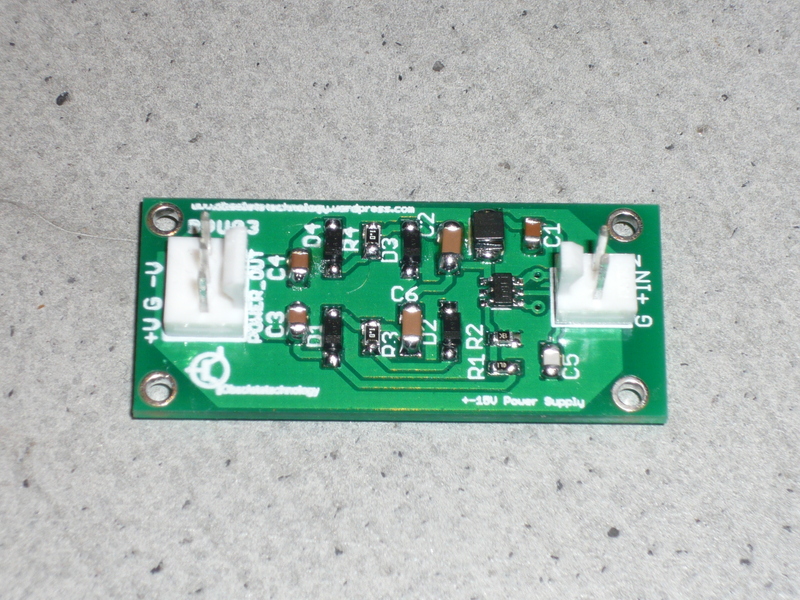 Thanks to the high frequency switching operation of the step-up converter (1.3MHz for LT3467, 2.1MHz for LT3467A ), the crosstalk into the audio band is virtually impossible and provides a quiet operation. To set the output voltage, select the values of R1 and R2 (see schematic) according to the following equation. Get the schematic, bom and gerbers here.